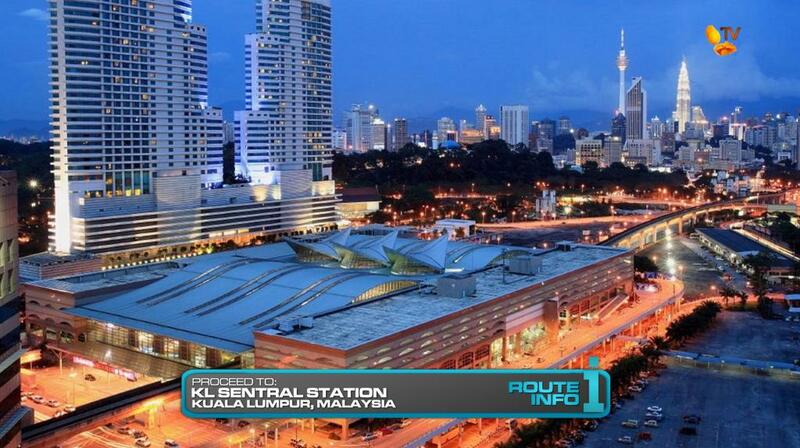 The Superleg continues as teams must hire a taxi to take them to the Petronas Towers in the capital city of Kuala Lumpur. 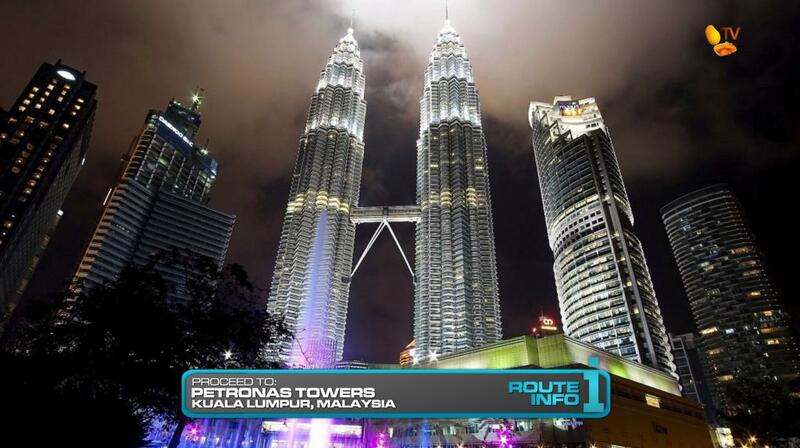 Teams must search in front of the Petronas Towers for their next clue. 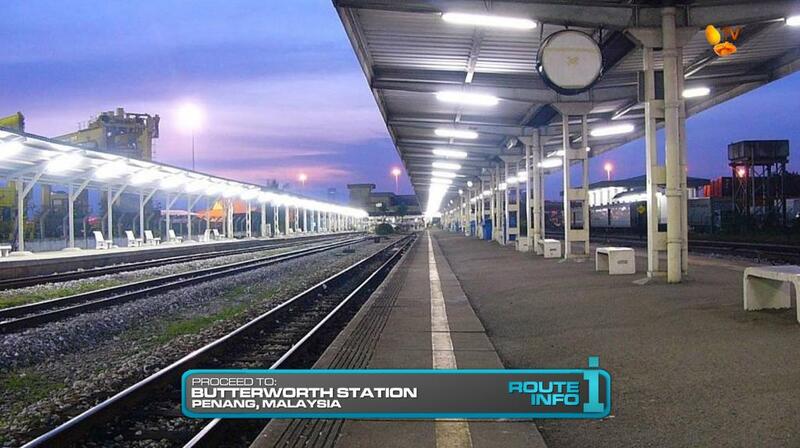 And that clue tells teams to catch a 10pm KTM train from KL Sentral to Butterworth Station in Penang, arriving at 6am. There, they will find the next clue. If teams miss the train, they will have to take a taxi which will cost them us$100 as opposed to the us$9 train ticket. 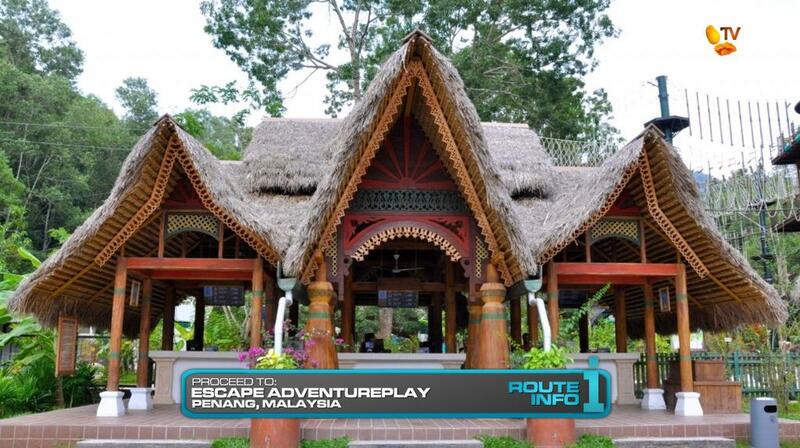 From Butterworth Station, teams must hop into a taxi to Escape Adventureplay in Penang. Teams will find the clue at the entrance and that clue reveals the first ever Double Battle of the Race. 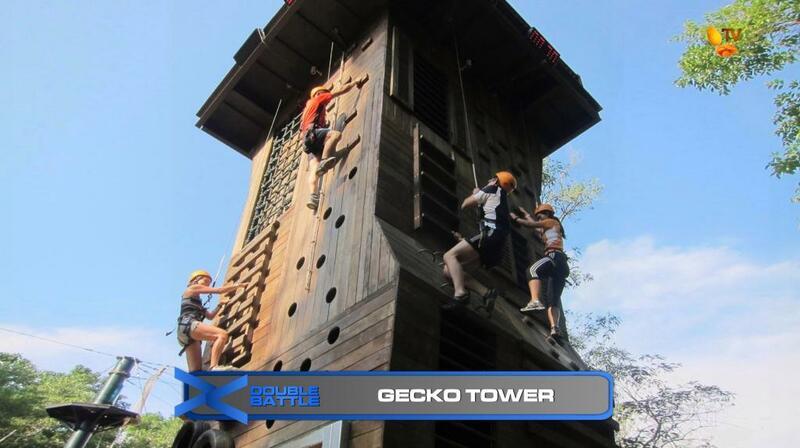 For this Double Battle, four teams will face off on the Gecko Tower in each round. After taking a number, teams will choose which side of the Gecko Tower they will climb. Both team members must reach the top of the wall in the set allotted time for each line. Only the top 2 teams of each round will receive the next clue. The losing teams must go to the end of the line, but priority in choosing which side of the wall they want will still be based on the number they’ve taken at the start. It is possible for NO teams to win any given round if one or both of the team members cannot reach the top within the time allotted. 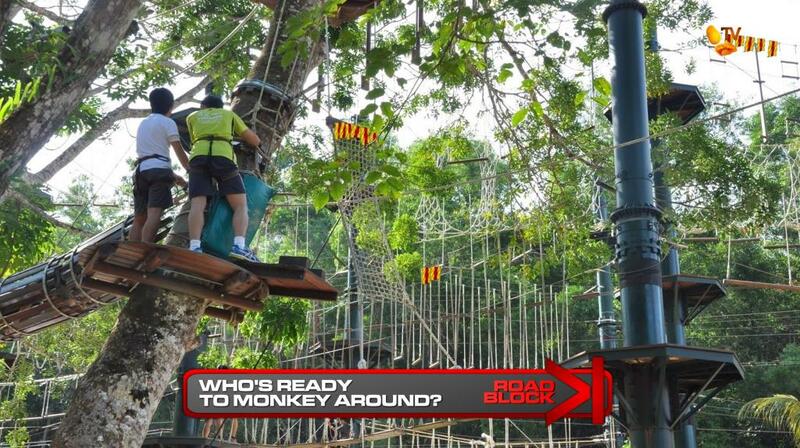 For this Road Block, teams will traverse the Monkey Business course and collect a flag from each checkpoint, a total of 10 flags. If teams lose a flag or did not grab all flags, teams must repeat the course. 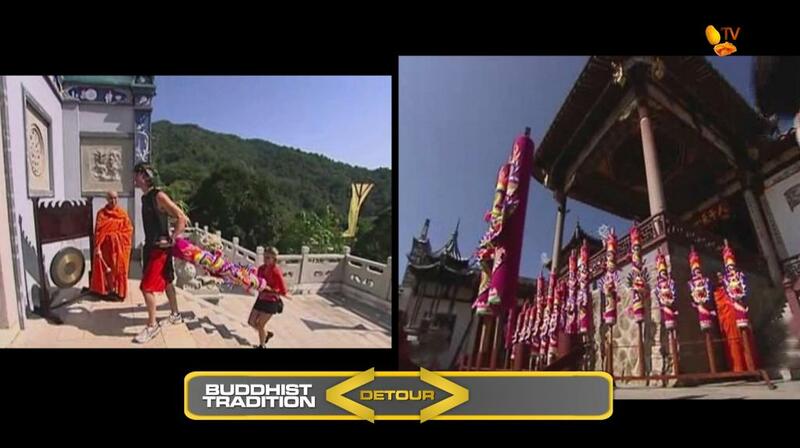 After the Road Block, teams open the next clue revealing the Detour: Buddhist Tradition or Chinese Custom. In Buddhist Tradition, teams must make their way to Tien Kong Than Buddhist Temple and carry a series of joss sticks to the top of the temple. After arranging them in proper order, teams must light them to receive their next clue. 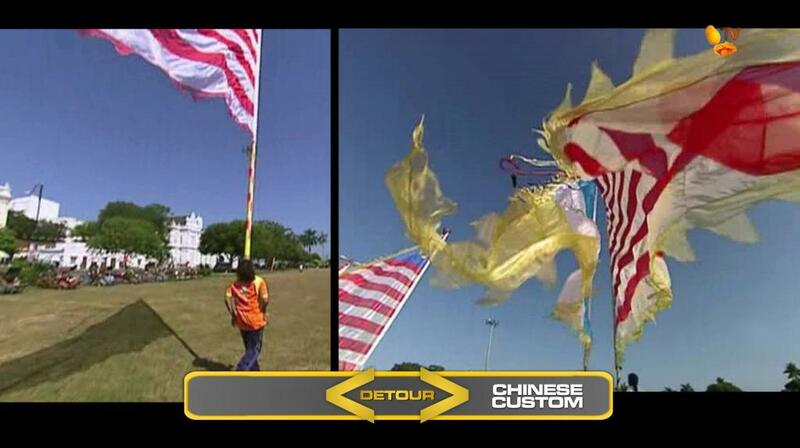 In Chinese Custom, teams must travel to Padang Kota Lama Park where they will participate in the Chinese New Year tradition of balancing large flags known as “chingay” on their foreheads and then run across the esplanade, following a marked course. Once both team members make their it across without letting their flag fall, both team members must then make one more run back straight across the esplanade to receive their next clue. 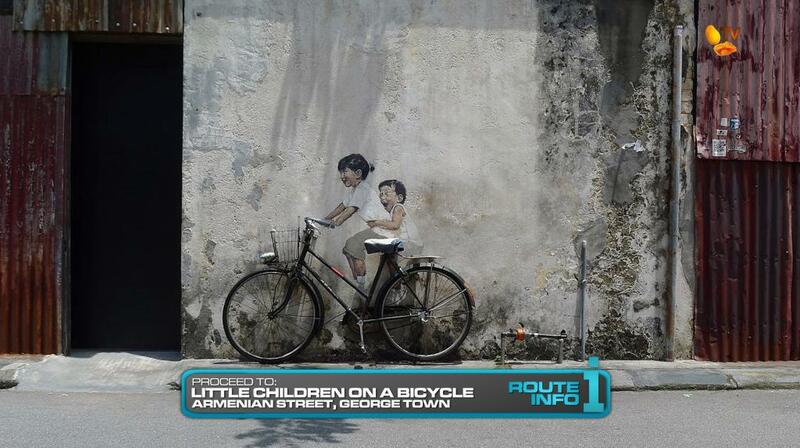 After the Detour, teams must find “Little Children on a Bicycle.” They must figure out this is the name of a famous mural along Armenian Street where they will find another mural revealing the location of the next Pit Stop. 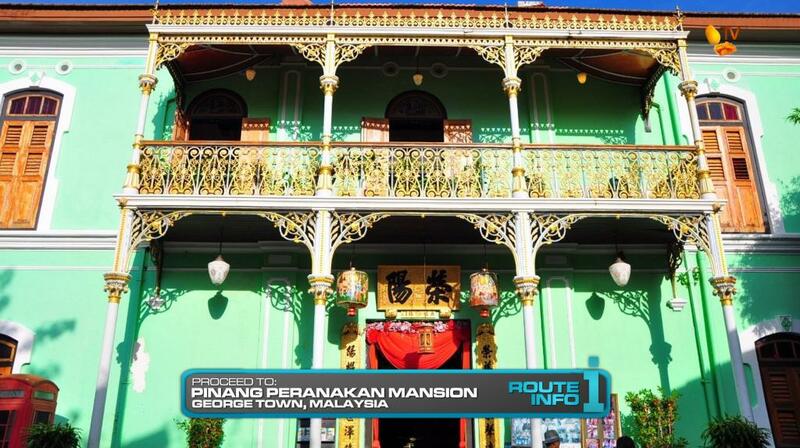 Teams can then walk or hop on a taxi to Pinang Peranakan Mansion where the first team to check-in will win P100,000 from Shell V-Power Nitro+. And the last team to check-in WILL be eliminated. And the leg continues through Malaysia. That little stopover at the Petronas Towers should look nice in the evening and in HD. But this is a Penang Leg. Now again, I’m just putting these legs together based on whatever I find on the internets, so I’m sure any TAR who actually scouts these places can find better tasks (or so we hope). But I like this Double Battle because this is the kind of thing I expected when I first heard TARPH2 would be including this TAR Israel concoction. It’s a fun task right at the start of the Leg, so being the last team, again, shouldn’t doom them like TARPH2’s tasks usually did. Having the Road Block at the Escape park, first of all, helps TARPH make sulit whatever they’re paying the park to film there. But it also allows for the trailing teams from the Double Battle to get right back in the thick of the Race. But I added an extra run to that flag side of the Detour since the location is actually closer to the next Route Marker than the temple is. Figuring out the race course is really very interesting. You’ve got a lot of moving parts and elements, so I can’t even imagine what the TAR production team has to go through to make sure things are in order and fair. I am going to be making teams walk a lot on this Race. And them running around Armenian Street and the surrounding area looking for a mural should help provide some exciting tension for this first elimination.